BleachHouseLibrary.ie: #IrishFictionFortnight - Day 8 - "A Crack In Everything" by Ruth Long. Author feature & Giveaway. #IrishFictionFortnight - Day 8 - "A Crack In Everything" by Ruth Long. Author feature & Giveaway. Thanks to the author, there is a copy of this title up for grabs as part of #IrishFictionFortnight. Just enter via rafflecopter link below. Good Luck! 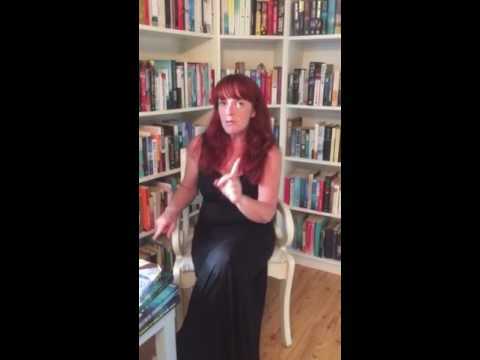 Classic Influences – The Hounds of the Morrigan by Pat O’Shea. Instead, here were characters who leaped off the page, made me laugh and cry - Pidge, shy and serious, determined but unsure and feisty little Biddy who went at life with all the energy and gusto only a five year old can have; Macha with her blue hair and dark magic; Bodbh, almost running Pidge down with the motorbike; even a great elk! Cúchulainn and Maeve, Aongus Óg and the Dagda, names I’d heard but never really appreciated. And of course the Morrigan herself, on her quest to find the Olc-glas and use its power to destroy the world, the stuff of nightmares. And it was frightening. Terrifying. No punches were pulled and the final battle felt desperate and terrible. In a world of cosy Irishness, of tourist twee and Bord Failte imagery that was, to me anyway, Irish children’s literature at the time, it blew everything else out of the water. It paved the way for many books to come, for this new Golden Age of Children’s literature. And, if you’re lucky enough to lay hands on a copy, still reads as fresh and thrilling as today. To say it has been an influence on my writing, while absolutely true, is an understatement. It has been an influence on my reading as well. Through intertextuality we learn about far more than the text we are currently reading. We learn about the texts that are referenced within it, about the stories that are told and retold time and again. Our folklore reinvents itself in stories, which reinvent themselves in plays, films and novels, and run back to stories once again. We first learn about Shakespeare, for example, not through reading the text of Hamlet but from The Lion King, not from Romeo and Juliet but from listening to West Side Story. That is the wonder of storytelling in literature. Story is king in The Hounds of the Morrigan, and all the stories it draws upon are seamlessly woven into the tale. While my Cú Sídhe and their kin of A Crack in Everything and A Hollow in the Hills are different, they all carry the echoes of the hounds in this book, and the fae creatures they accompanied. Not sweet fairies, or benevolent gods and goddesses, but creatures of the dark, ancient, cunning and terrifying. If any book needs to get back into print as soon as possible, this is it. Ruth Frances Long writes dark young adult fantasy, often about scary fairies, such as The Treachery of Beautiful Things, A Crack in Everything and the forthcoming sequel A Hollow in the Hills (O’Brien Press, 7th September 2015). The book launch for A Hollow in the Hills is at 6.30pm on Wednesday 9th September 2015 in the Gutter Bookshop, Cow’s Lane, Dublin 2 and everyone is invited. Yes, especially you! She lives in Wicklow, the Garden County of Ireland, and works in a specialized library of rare, unusual & occasionally crazy books. But they don’t talk to her that often. Or maybe she’s learning not to listen. Maybe. She recently won the European Science Fiction Society Spirit of Dedication Award for Best Author of Children’s Science Fiction and Fantasy, 2015. 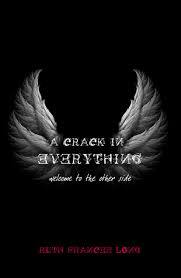 A Crack In Everything is published by O'Brien Press and is available in paperback and ebook format.